The ACC released its 2018 Preseason Football Poll on Monday, with Clemson picked to repeat as conference champions and UNC picked sixth in the Coastal Division. A total of 148 media members voted in the poll at last week’s ACC Kickoff event in Charlotte. 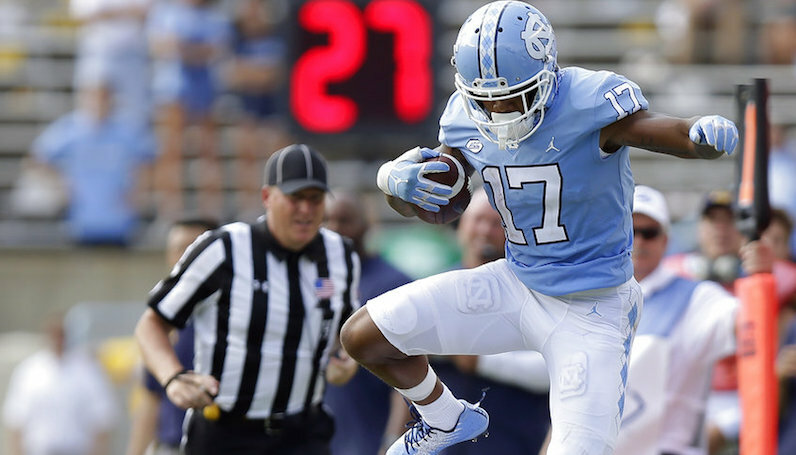 UNC will be looking to rebound from a 2017 campaign that saw a rash of season-ending injuries contribute to a dismal 3-9 record, including a 1-7 mark against conference opponents. The Tar Heels did receive one first-place vote in regards to the Coastal Division, but they will have a steep hill to climb with uncertainty surrounding many positions on both sides of the ball–including the starting quarterback spot, where head coach Larry Fedora will likely have to decide between junior Nathan Elliott and dual-threat sophomore Chazz Surratt. Miami was picked to win the Coastal Division with 122 first-place votes, with Virginia Tech (16), Georgia Tech (8), Duke (1) and Pitt predicted to finish in front of UNC and Virginia picked to finish last. For the full ACC Preseason Poll, click here.